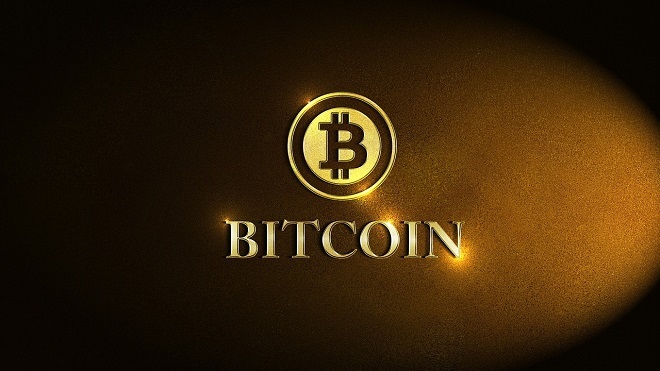 Bitcoin seems to be all the hype these days, especially with the digital currency making new highs day after day. At the beginning of 2017, Bitcoin was valued at around $1,000 USD. As of November 4, 2017, Bitcoin has reached $7,300 USD – a 7 bagger in less than a year. So great, this magical currency seems to be going up, but what exactly is Bitcoin? At a very high level and without getting too technical, it’s a decentralized (peer-to-peer) digital currency that uses cryptography in a way that appears to be very secure. Normally, when you send an online payment, say an email money transfer from your favorite online bank account, your bank acts as a central authority that would verify the transaction. Being a central authority allows them to charge fees for the service and to verify that the same money was not spent twice (ie. money properly withdrawn and/or deposited into your account). Bitcoin is a peer-peer currency, which means it does not have a middleman. This potentially means that Bitcoins can be sent from user to user anywhere in the world without fees. As you can see, this is a disruptive force for the banking and credit card industries. However, creating a peer-peer currency is not without problems, there is a problem of double spending the money. Essentially, the digital currency needs to ensure that users/owners can’t make a digital copy of the coin. To solve the “double spending” problem, Bitcoin is built with blockchain technology. Blockchain is the underlying technology behind Bitcoin and other digital currencies. You can view a digital currency as an application of blockchain, similar to how Twitter or Facebook is an application of the internet. Blockchain enables the tracking of sequential transactions (sorted chronologically) using cryptography that is very difficult to hack or change. When you make transactions with your bank account, the bank is responsible for keeping a ledger of all of your transactions in sequential order. This ledger will keep track of your account balance, withdrawals, and deposits of your account by date in a central location (ie. a server with the bank). To “decentralize” the cryptocurrency and its transactions, Bitcoin uses blockchain to keep an encrypted digital ledger that is maintained by the public in multiple locations. Each Bitcoin transaction is encrypted and stored in chronological sequence within the public master ledger – forming a chain. How do they verify that a transaction is legit? They use computing power from people/companies that sign up as “miners”. These miners race each other to verify transactions (they need to solve encryption puzzles in real time) and the quickest get rewarded in Bitcoin for their trouble. Since every transaction is stored and encrypted chronologically, miners can quickly tell whether or not the transaction (withdrawal/deposit/account balance) is legit and/or if the chain has been tampered with. Phew! That was my best attempt at simplifying how Bitcoin works. For those of you who would like to dig a little deeper into the weeds, check out the Bitcoin Wiki. That’s a very good question and a question that I struggle with. I think what makes me hesitant to invest or use the currency is that the valuation changes so much in a single day and major risks like government regulation. On the other hand, more and more retailers are accepting Bitcoin as an accepted form of payment. According to Wikipedia, as of 2015 Bitcoin is accepted by over 100,000 retailers. I’m even hearing rumors that Amazon is looking at accepting the currency as a form of payment which really would be a game changer. I can see the disruptive nature of the currency being a driving force, in addition to its scarcity. What scarcity? Bitcoin miner rewards will reduce over the coming years and will keep reducing until 21 million Bitcoins are in circulation. You may be thinking that we will run out of Bitcoin, but in actual fact, a Bitcoin can be divided up to eight decimal places. Something to think about – if miners are spending money on computer hardware (and electricity) to verify transactions quickly in order to get a Bitcoin payment which is currently 12.5 Bitcoins/block ($91k USD), what happens when there are no Bitcoins left to mine? What will motivate people/companies to continue supporting/verifying the transactions? Will the verification step become extremely slow? Or perhaps Bitcoin will introduce some kind of transaction fee to keep miners motivated? So now that you have a high-level understanding of how Bitcoin works, and you are a bit of a risk-taker, how do you get a piece of the action? I’ve done a bit of digging around, and from what I have seen, the easiest way to buy and sell Bitcoin (or other cryptocurrencies) is through a Bitcoin and/or Cryptocurrency Exchange. These are similar to discount brokers for the stock market where you can buy/sell digital currencies for a trading commission. For U.S readers, Coinbase seems to be a popular option, but Canadians are out of luck as they do not allow withdrawals to Canada. I discovered this the hard way after signing up and verifying my account. So I did a search for the top Bitcoin exchange for Canada, and Quadriga (an exchange based out of Vancouver) came up on a bunch of lists as being reliable with relatively low fees. Quadriga offers free sign up, but they charge a fee to deposit cash into the account (1.5 to 2.5%) but free to withdraw via electronic funds transfer. In terms of trading fees, Quadriga charges about a 0.2%-0.5% of the trade value. I signed up for an account, and I will warn you that the verification process is a little intense (ie. like a selfie holding your ID) but not that much worse than opening a stock discount broker account with a big bank. I am going to check out a few more cryptocurrency exchanges and report back here. With cryptocurrencies like Bitcoin making it into the mainstream, I hope that this article helped clarify a little about how they work and how you can trade them. If you are looking at trading Bitcoin or other digital currency, I will say that these currencies are extremely volatile and that you should be prepared to only risk what you can afford to lose. As of today, I have not made any digital currency transactions, but I am getting closer to pulling the trigger with some of my play money. What are your thoughts? Are you invested in any cryptocurrencies? Do you see a future for this technology? When you hear about the phenomenon gain in the BitCoin value and some people had become millionaire overnight trading it, this will definitely stir your interest. The fastest something goes up, it can also go at the same rate when coming down. It may even be faster because people panic. My biggest fear is the lack of regulation. Recently, China had already affected it a bit by intervening. All it takes is a couple of major countries to take action to regulate and the currency will take major swings. I am a risk taker, but this is too much for my own preference. Have you tried to invest in digital mining companies? I recently came upon a Vancouver company called Hive Blockchain LTD (Hive.v). I figured it’s worth investing in a Canadian company listed on TSX venture exchange. Hi Jay, I have been watching HIVE but have not bought or sold. Maybe it’s my conservative nature, but the volatility reminds me too much of the dot-com era! Hive is a 1.2 billion dollar company with no revenues or profits. And management was previously a gold speculator. I think the better play is Nividia who sells to all the miners. Thanks Young, I didn’t know that. Is there any advantage of doing it this way over just doing all trading at Quadriga? Quadriga has this weird way to receiving money, for example when you want to fund you account (check their funding methods). However on coinbase, you can just like a visa card or your debit visa and you can buy right away. I think it depends on the province, but some provinces still have CFD’s as an option, to just look to profit from the underlying price increases/decreases without actually purchasing crypto’s. If you use a 2% cashback credit card, the overall cost of fee becomes lower. And it appears that BTC & ETH (purchase) price in Coinbase is lower than Quadriga. The downside is though you can purchase only small $ using Coinbase. $100 (unverified) or $250 (verified)/week until they raise your weekly limit. You can then transfer to your soft/hard wallet, and then transfer to Quadriga to sell and withdraw to your Canadian bank account when time comes. Coinbase is quite easy to navigate and purchase BTC, ETH & LTC. If you use a 2% cashback credit card, the overall cost of fee becomes lower in Coinbase. And it appears that BTC & ETH (purchase) price in Coinbase is lower than Quadriga. The downside is though you can purchase only small $ using Coinbase. $100 (unverified) or $250 (verified)/week until they raise your weekly limit (still too low for some investors, I guess). You can then transfer to your soft/hard wallet, and then transfer to Quadriga to sell and withdraw to your Canadian bank account when time comes. Coinbase is quite easy to navigate and purchase BTC, ETH & LTC. I’ve been watching the value of Bitcoin ever since Jamie Dimon, chairman and CEO of JPMorgan Chase, called the digital currency a “fraud.” He also said that anyone who invested in the currency was “stupid.” That was a few weeks ago. It’s pretty interesting that the value of Bitcoin has only gone straight up since he made those remarks. How do you figure? Block chain existed many years before bitcoin and is independent of cryptocurrencies. This argument is the equivalent of stating that cops shouldn’t be negative about robbers because they both use cars. Ehh wrong! The blockchain was invented at the same time as Bitcoin. Bitcoin is the reward of miners for maintaining the blockchain. Most of you are really against this Bitcoin but I am not sure its importance is known fully yet. I did a small research to see how many universities have white papers and classes about it; I went to Bank of Canada and Bank of England’s website to ready extensive papers about it. I am not sure if such research was done on dotcom bubble while it was happening. For bitcoin, it has been “bubbling since 2009”. Almost 100 billion US in Market cap, bigger than paypal, Amex…..So open….that means there is a 100 billion for any hackers to pick them up (if you want to talk about security). For future concern on transaction fees, there are ample solutions in work by communities all over the world. Being open source gives an immense power to the software; Anyone can submit an improved code (I am not going to talk about forks here). If you see huge innovation in android and web applications today is it is because of open source: everyone working to make something better everyday! People should also know there is Bitcoin and other cryptocurrencies. These other cryptocurrencies are where things might happen. I don’t follow most of them; I don’t follow ICO either. Bitcoin already has transaction fees. They’re variable (and optional), but if a transaction fee isn’t included then the likelihood of a transaction being included in a block is very low. Miners take both the block-creation fee (12.5 BTC) as well as the sum of the transaction fees. It used to be that even microscopic transaction fees would encourage inclusion, but no more. Until blocks on the main chain can be larger (or more transactions can be included due to SegWit), the fees to include your transaction in a timely manner will be fairly high. Thanks for this Kevin. So would these transaction fees inhibit smaller purchases using BTC? Do you know the range of these transaction fees? 1. To elaborate about blockchain, digital transactions are done by trusted authorities like banks, which take in cash and have a digital IOU. They then exchange that digital IOU. These are only as reliable as the banks are (which Canadians trust). For Bitcoin and other cryptocurrencies, the blockchain is essentially an encrypted text file that anyone can access. In order to modify it you need to crack the encryption on the majority of computers that have the blockchain ledger simultaneously which is practically impossible. This is what makes the blockchain technology so amazing – it’s not controlled by a person or organization and can’t be hacked. 3. Think of the blockchain like your bank and your phone/computer as your personal bank account. The blockchain can’t be hacked, but your personal account can and you’ll lose everything with no one to ask for help. If you buy any substantial amount of cryptocurrency, you need to store it in a safe way. I use trezor, but other hardware wallets like the Ledger Nano also work. a) No one can control how much bitcoin is produced, but it competes with other currencies, so as more get created, the supply of cryptocurrencies increases and that decreases the value of bitcoin. b) A few people own the vast majority of bitcoin that has been produced. They essentially control the price. New cryptocurrencies are frequently pre-mined so the creator has one million units or so before it becomes public others can buy it. You need to be careful about that. d) The code has been changing so much recently. It goes through what’s called a blockchain fork. Bitcoin has quite a few issues – it can only handle 7 transactions/second and has high cost per transaction. The currency has been going through changes to try to alleviate these issues, but that leads to more instability in the price. Other currencies like Etherium or Litecoin have been created to solve these issues or even give extra capabilities, but as it competes against bitcoin, more money goes to those currencies and bitcoin becomes worth less. I personally own some Bitcoin, Etherium and Litecoin, but I see it as gambling and not investing. I think cryptocurrencies are the way of the future, but there are significant risks and shortcomings with the current system we have. Thanks for providing all that detail Joey. With point number 2, 4% seems a little high. Wouldn’t it be better to go with Quadriga that charges less? Do you use coinbase for your digital currency trading? I signed up for Quadringa, but couldn’t transfer the money easily. Any way you do it costs money. For large sums of trading, it would definitely be better, but if you just want to buy a little, I think the convenience of coinbase makes it worth it. I don’t really trade much. For stocks and currencies, I think timing the market is not reliable. I just buy and hold and in a few years if I need the money, I’ll either sell or buy something with it. Also, if you are getting 800% returns, a 4% fee is meaningless. It would be really high for stocks and bonds which would give you 4-7% returns. 1) Not entirely true, if an entity controls 51% of the network mining power then they control the blockchain. 4)a) Not true. There are exponentially more cyrptocurrencies than ever, by your argument held true bitcoin should be worthless. 4)b) Very much true – also why cryptocurrencies are like mulit-level marketing companies, owners need to perpetually convince others to buy in beneath them for their share to have any value. Definitely correct on gambling, I suggest anyone considering buying cryptocurrencies should go (re)read Four Pillars of Investing around the psychology of investing and bubbles. There is only one real use for cryptocurrencies – paying ransomware creators. 1. I’m pretty sure you need to hack 51% of the computers that are mining, not just have more mining power. Otherwise blockchain would not be that secure. 4a. It is true – simple supply and demand. If I want to invest $200 into cryptocurrency, and I put it into Etherium instead of bitcoin, that leads to a decrease in global demand for bitcoin. It still has gone up because it is getting more popular like all cryptocurrencies. Unlike fiat currencies which are legal tender, all cryptocurrencies have the same legal status and can easily be interchanged. If everyone decided they liked a different cryptocurrency more and decided to trade it for bitcoin, the rice of bitcoin we’d collapse. 1 – Nope, its 51% of the network mining power. Google 51% attack. 4)a) Again no – there is limited support / interested for currencies other than bitcoin they aren’t interchangeable. re: It is true – simple supply and demand…If everyone decided they liked a different cryptocurrency more and decided to trade it for bitcoin, the [price] of bitcoin [would] collapse. Yup. There have been some strong analysis to show that almost 95% of BC’s price movement over the last 4 years has been due merely to the increased number of users on the bitcoin network — nothing else. It’s selling for that much simply because more and more people are trading it, not because more and more people are utilizing its currency function (i.e. it’s a cryptocurrency that’s acting far more like a speculative penny stock and almost never like a currency). Thus, the actual current value of BC is ~$500 (vs $6,500 price). Reminds me of the Cabbage Patch. Or tulips. Thanks for this, this is probably the easiest to understand explanation of what Bitcoin is. I know someone who stated they made $1 mill from Bitcoin and another who is mining it. Although the Bitcoin bubble seems to have just begun, I’m staying away and sticking to the slow and steady route. Seems like weedstocks and Bitcoin define investing in 2017. Thanks GYM for the feedback. I have been looking into Cryptocurrencies for gambling with some play money. I can’t help but feel that a bubble will happen at some point in time, but it is hard to sit out on the sidelines while a lot of others are made wealthy from a psychology standpoint (which I am guessing is a lot of peoples thoughts and that will put the bubble off into the future). The thing that I have issues with is how secure is the wallet? What happens when you lose the devise you had the wallet on? I read stories of people who have significant amount of bitcoin on devices they threw out and can’t retrieve. Which, if there is only going to be 21 million made, and some are lost forever, how will that impact things. The other concern is the hard forks and the precautions that you have to take so that if you trade the new coin, you don’t lose the other one. I think it is too complicated for the average person to use at the moment. Complicated things have a difficult time getting to critical mass. Bitcoin and the other crypto-currencies are a very interesting fad to be watching. I remember the booming days of tech stocks in the 90’s and I also remember the incredible fall from grace. As others have said, I am not a risk taker, so I watch this as a technological curiosity. Given where there are so many “scams” using Bitcoin, I think I will keep my distance for now, and see where this all shakes out. I used Quadrica Cx to sell the bitcoin that I mined, on that way it is not too bad. A little fee, when you sell your bitcoin on the exchange (aprox 7$ for 2000$) and the bank transfer went smoothly and on time. I personnally don’t know the value of a bitcoin, so I decided to buy miners instead of the currency. For now, even if it is not spectacular than the rising of bitcoin, it bring me income, and it my power cost is arount 700$ us a year by miner. So even if the bitcoin price go down, at 1000$ as it was at the begining of the year, i will still break even.